Suited To The Seasons: Freeze It! 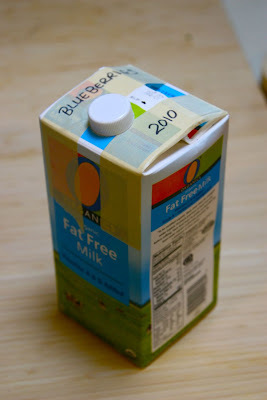 What can you do with a milk carton and masking tape? Freeze your berries! This is a method of preserving berries that I learned from my in-laws. 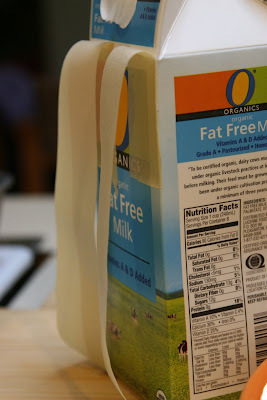 It's great way to beautifully freeze fruit and recycle the milk cartons! Start by freezing the berries on a cookie sheet or something else flat. Grab a milk carton, rinse it out well and allow it to dry. Apply two strips of masking tape to one side. 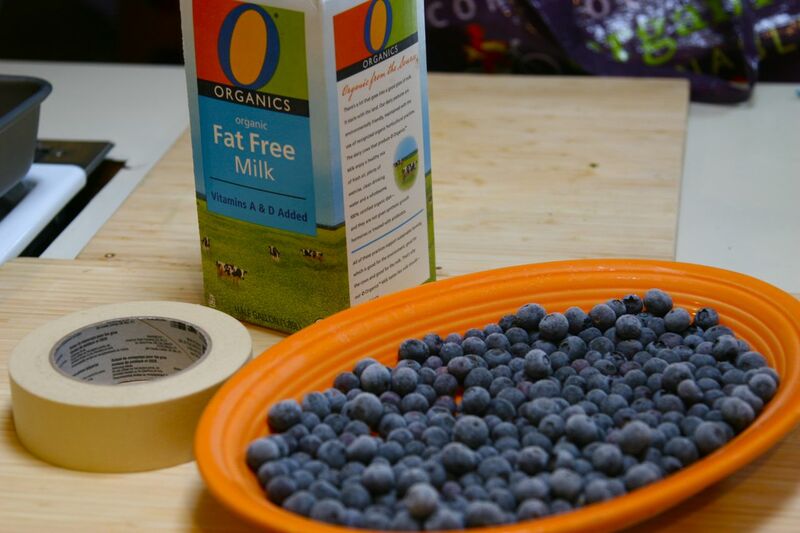 My strips are about ten inches long and I stick them on the carton before placing the berries inside. Add the berries, then fold down the top of the carton and quickly pull the tape over the top to seal the carton closed. If condensation forms on the outside, wipe off the moisture with a towel and reapply the tape. Berries preserved this way can be stored in the freezer for at least a year and the milk cartons are great for stacking. That is a brilliant idea! What a good way to re-use those containers and keep your frozen fruit easily accessible and in good condition. Thanks for sharing it. What a marvelous idea! I get my milk from a cow, but go through a lot of OJ. What a great idea! A perfect storage container for fruit!